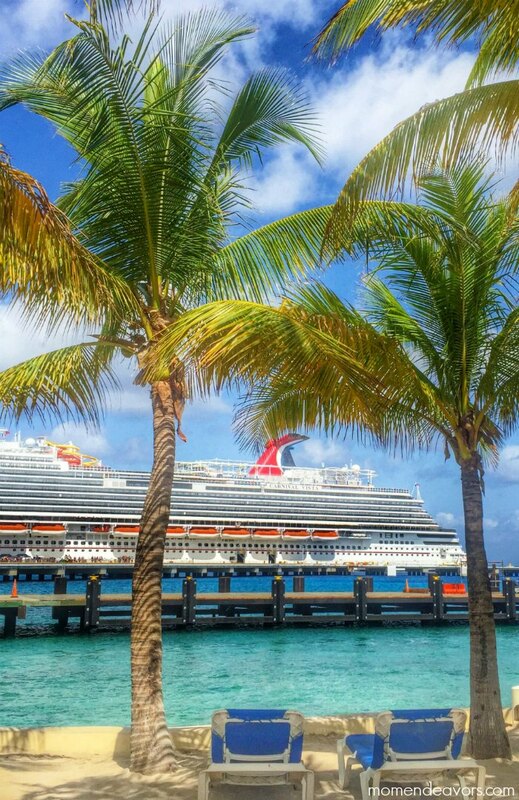 6 Reasons to Take a Carnival LIVE Cruise! What could be better than a vacation to awesome destinations, sailing on a beautiful ship, eating delicious food? How about one that has ALL of that PLUS the opportunity to see a great show for a great price?! You’ll find just that on a Carnival LIVE cruise! I had the opportunity to experience just that at the invite of Carnival on a recent #CarnivalLIVE press trip! 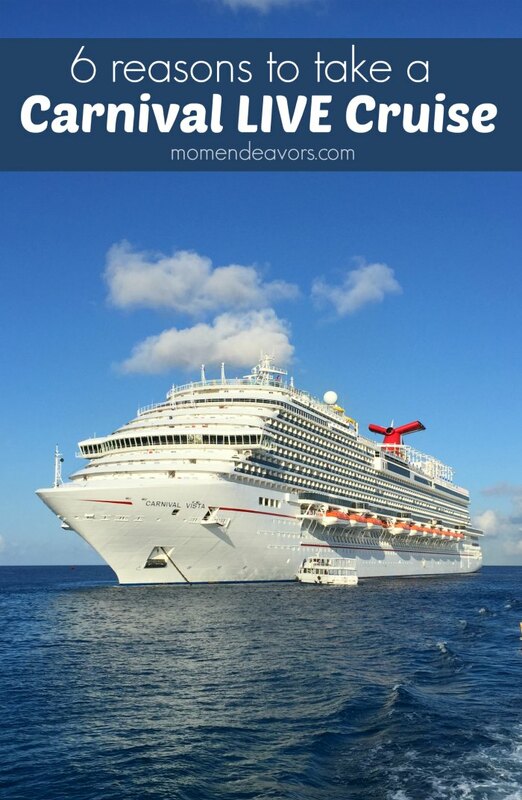 I got a lot of questions about the Carnival LIVE experience, so I’m sharing a little bit about it today – including why you should consider taking a Carnival LIVE cruise! Big name performers. The live entertainment on a Carnival Cruise is great. But, a Carnival LIVE sailing isn’t just your standard everyday performer. Instead, these are BIG name, well-known acts. Past Carnival LIVE performances have included names like Journey, KC & The Sunshine Band, Carrie Underwood, Sam Hunt, Tim McGraw, Little Big Town, and more. 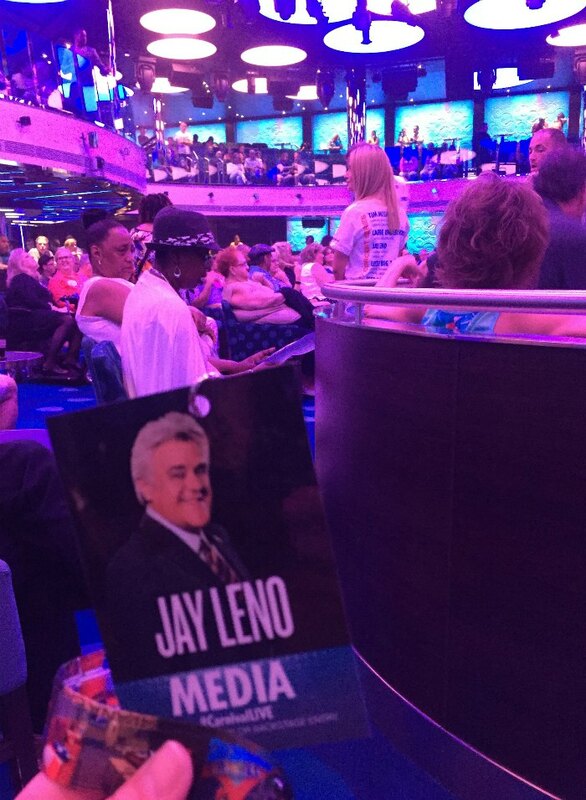 On our sailing, we had the pleasure of seeing late night & comic legend Jay Leno! What a FABULOUS night it was! He was HILARIOUS and performed a 90 minute set with no break! It was such a cool experience! Ease. This live show experience is SO easy! There’s no waiting in long lines for tickets or camping out for good seats. No dealing with crazy parking or security. In fact, you even have built-in babysitting!!! That’s right – if kids are too young for the show or you just want a date night, the kids’ club is open for free (included for no extra charge until 10pm)! Talk about a win! So, you just purchase your LIVE show tickets when you buy your cruise tickets and they’ll be waiting for you on the cruise! It was the easiest live show experience I’ve ever had! Intimate Venue – In addition to being a super easy experience, the Carnival LIVE performances are great because they are so intimate. Truly, it seemed like there was not a bad seat in the house. Performances are held in the ships’ main show lounges, ranging in capacity from just 900 to 1,300 seats depending on the ship! Considering many venues you might see such big name performers seat tens of thousands of people, these lounge settings on a cruise ship really give the Carnival LIVE shows a more intimate, personal feel. 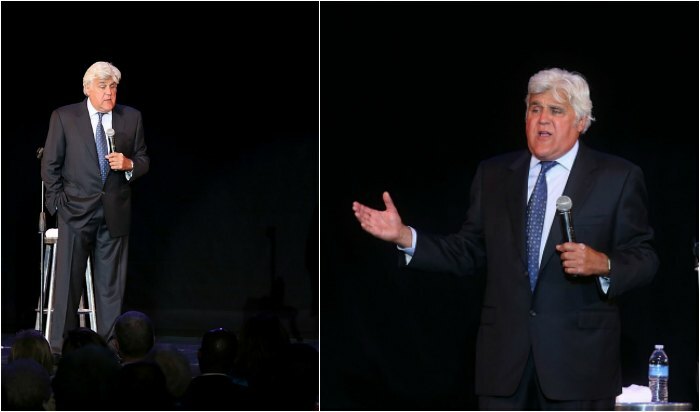 You can sense a little of that from this photo of our Jay Leno performance on the Carnival Vista! Value – Now you might think tickets must be super pricey for such an intimate, easy experience, but that’s not the case at all! Compared to typical on-land concert/show prices, this is a bargain! Typical prices for a Carnival LIVE show range in price for $30 to $80 for general admission! How awesome is that?! VIP Experience – And if all of that isn’t enough, you have the option to buy a VIP experience package. These tickets typically range in price from $100 to $30o. They include seating in the first five rows, a photo opportunity with the artist and a commemorative concert pass! Once again, this is significantly lower cost that similar on-land packages. Book your Carnival LIVE cruise today by visiting www.carnival.com/CarnivalLIVE. It’s an AWESOME experience! Thank you to Carnival for sponsoring our Carnival LIVE travel and accommodations!